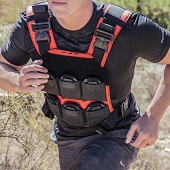 - You understand that body armor is not bullet proof—IT IS ONLY BULLET RESISTANT, and if a bullet strikes you there is always a risk you will be injured or killed; and that plate carriers sold by AR500 Armor® are made from NON-ballistic material. - You agree, for yourself and your heirs, assigns, and agents, to fully and completely release, never bring any action in any court of law against, and to indemnify, defend, and hold harmless AR500 Armor® for any and all liability stemming from your purchase, possession, or use of the item(s). Illegally purchasing, possessing, or using body armor or other items sold by AR500 Armor may result in severe legal consequences for you, up to and including incarceration. AR500 Armor® will fully cooperate with all criminal investigations. Non-law enforcement residents of Connecticut are prohibited from purchasing body armor. AR500 Armor® assumes NO LIABILITY for your use or misuse of any item(s) sold or donated, including without limitation any incidental or consequential liability. ALL WARRANTIES, INCLUDING THE WARRANTIES OF FITNESS FOR A PARTICULAR PURPOSE AND MERCHANTABILITY, ARE HEREBY EXCLUDED. NO ORAL AGREEMENT OR WARRANTY OF ANY KIND SHALL BE BINDING UNLESS IN WRITING AND SIGNED BY AR500 ARMOR. Statements, images, or descriptions are informational only, and not made or given as a warranty in any way. AR500 Armor specifically disavows any other representation, warranty, or liability related to the condition or use of the items sold. AR500 Armor does not cover any consequential damages, and its liability is limited to repairing or replacing defective items. Every item is sold "AS IS" and "WITH ALL FAULTS". The entire risk as to the quality and performance of the product is with the buyer. Level IV rifle rated body armor (Rifle Plates), ceramic or composite, fall under the jurisdiction of the International Traffic in Arms Regulations (ITAR), and are subject to the export control laws of the U.S. Government. Export or retransfer of Level IV Rifle Plates by any means to any foreign end user, or for any other end use, whether in the U.S. or abroad, without the written approval of the U.S. Department of State, is prohibited. Level III rifle rated plates are now under the control of the Commerce Department’s Bureau of Industry and Security (BIS)and administered under the Export Administration Regulations (EAR) and remain subject to the export controls laws of the U.S. Government. Export or retransfer of Level III Rifle Plates by any means to any foreign end user, or for any other end user, whether in the U.S, or abroad, without the written approval of the U.S. Department of Commerce, is prohibited. The sale, transfer, transportation, or shipment outside of the U.S. of any product prohibited or restricted for export without complying with U.S. export control laws and regulations, including proper export licensing, documentation or authorization, is strictly prohibited and may result in civil penalties and/or constitute a federal crime. AR500 Armor® will not engage in any transaction that requires the illegal export of any products and will not assist directly or indirectly with the illegal export or re-export of any products.